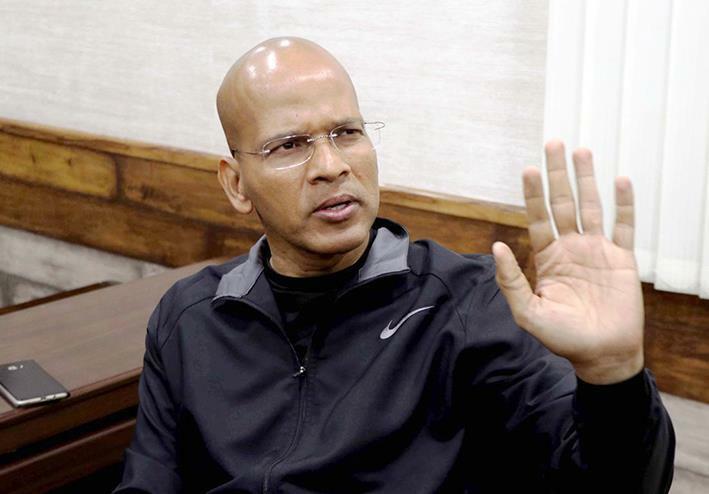 Srinagar, Nov 8: Hitting out at Virat Kohli for his controversial ‘leave India’ comment in response to a cricket fan over his liking for English and Australian batsmen, Inspector General Police (IGP), Traffic, Basant Rath asked the India skipper to keep his cricket patriotism to himself and to his advertisement contracts. “Dear Virat Kohli, I love Javed Miandad. You please keep your cricket patriotism to yourself. And to your advertisement contracts,” Mr Rath, who is active on social media, particularly on twitter, wrote on his twitter handle. In a video, which has gone viral on social media, Mr Kohli is seen bashing a fan who said that he likes English and Australian batsmen more than the current Indian players. The video was recorded by Mr Kohli as part of the promotions for his newly-launched app, Virat Kohli Official App. The application was launched on his 30th birthday on Monday. "He (Virat) is an overrated batsman. Nothing seems special in his batting. I enjoy watching English and Australian batsmen more than these Indians," the fan had written. In his reply to the fan, Mr Kohli said that he should not live in India if he likes foreign players more than the Indian cricketers. However, Mr Kohli attracted criticism for his remark.